District 22 Meeting Notes – May 2018 – Lincoln Nebraska A.A.
need to call to update it by calling Central Office. ● CharliesaidanygroupcansendtheirDistrictdonationsorcorrespondenceto the Intergroup P.O. box and he will get them to our treasurer. ● 2018 Fourth of July picnic will be at Bethany Park, there will be lunch, a speaker, and committees will discuss their duties/responsibilities. ● Should we send our DCM to events like the West Central Regional, Area Reunion…. topic tabled until next month, talk to groups about it. ● Fall workshop- Grapevine, decided on Nov. 10th from 1:00-4:00, we will check with the church to make sure this works. Ask groups about ideas for format and Grapevine topics. ● 2018-01-06-006 Agenda- Select host district for 2019 Area Reunion. We decided not to volunteer as host district. ● 2018-01-17-011 Literature- Funding for literature chair for two nights of hotel at Area business meeting. ● 2017-07-23 #006 Finance- Financial Audit, amend the financial guidelines to add a section on a financial audit. ● 2017-01-08 #002 Finance- Area 41 provide a secure link in order to allow Area Reunion registrations to be paid online. 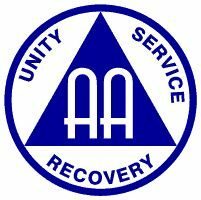 ‹ AA District 3 meeting – NEW Location and Start time!